Q: One news source projects that due to lower fuel costs consumers will focus on spending more on consumer products while other sources are saying that the savings on gas will be eaten up by soaring insurance premiums such as Obummercare, etc. Which is the truth? Some are agreeing with the governments’ statistics that unemployment is decreasing; while others are saying that employers are cutting back on 40 hr. employees so they don’t have to buy employee insurance while hiring 2 20-hr. employees both of whom will not be eligible for employer insurance. Which is it? Probably some of each. A large number of Americans are living off their credit cards, especially this time of the year. For them, saving $30 bucks on a tank of gas won’t change much, it will just reduce the amount of debt they go into for Christmas. Soaring insurance premiums will affect a large number of Americans. Someone has to pay for the extra benefits extended to those previously un-insurable. It looks to me like the winners will be the insurance companies and those finally able to get insurance. The losers will be the doctors and the rest of us. As far as I understand it, many firms are cutting back on hours to avoid paying the insurance. More people are getting jobs, but a large percentage of them are low paying and/or part time jobs. Also, there are still far fewer people working today than before the collapse in 2008/09. All in all, not a healthy situation, and it is being “spun” by the mainstream media and Wall Street. Check out the honest, unaltered statistics presented in the graph, below by John Williams (Shadowstats). By any standard, and he gives you three, there is a higher percentage of unemployed Americans today than six years ago. That says it all. Some improvement, but still awful. Why didn’t they do this when we were at the top of the markets in gold and silver? Are they expecting huge moves in gold and silver? Probably because India’s new government is going to repeal the import tax on gold and the wedding season is coming up and the rupee is going up. As far as china, the Chinese are not allowed to buy foreign stocks and their stock market is crashing. The banks do not pay any interest, and the real estate market is completely in the toilet. What is left for the Chinese but gold and silver? I may be reading too much into this, but I just don’t see any reason to do this now unless you were expecting large moves in the metals. I really don’t think they expecting these large moves to be down. My real question is what other reason would they have to impose these changes other than them anticipating huge moves coming? They did not do this at the top because there was no necessity and if they could have hit these circuit breakers to the downside they would have, and loved every minute of it! Yes, demand is swelling in China, India and the rest of the world, gold will be the last man standing when this crisis goes full blown. The “risk” in price is now and has been for a while now, to the upside in huge amounts. Volatility is already increasing and I do believe they know what is coming. The risk which is increasing each day is that Russia asks for gold in exchange for oil and China backs their currency with gold, a one-two punch of sorts. I think the more telling news is how the budget bill was passed with hugs and kisses while dumping the entire derivatives mess on top of FDIC. They obviously know something is coming with both of these actions and neither will be good for Joe and Jane America! The timing of both these actions suggests something will happen quite soon. Q: My inquiry regards the gold/silver ratio. Impressively, it has been somewhere 50-70/1 over many years now, with recent trend of the ratio going higher. This is often used as an argument to say that silver is a good price now, as the ratio should be somewhere around 12-17 / 1 to reflect the relative abundance of the metals in our Earth’s crust. While I do not disagree that the TRUE value of silver is perhaps grossly undervalued at today’s price of $ 16/oz., I see TWO ways to look at the Gold/Silver ratio, not just one. 1) At a ratio of 70/1, either silver is GROSSLY undervalued in proportion to the price / abundance of Gold, OR the PRICE OF GOLD is grossly OVERVALUED compared to the price of silver. 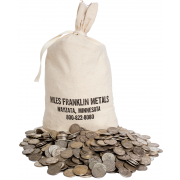 How do you know definitively that silver is undervalued and that gold is not overpriced? 2) Some “cyclical” economist types still see Gold falling from a sky high all time spike in the $ 1900/oz. range, (and on the path to a value of around $ 250/oz.) and I do see their point that the price of Gold “should” be or “will” be much lower as it comes off its “bubble” which topped at $ 1900 an ounce. In this line of reasoning, the Gold bubble has already occurred, and is not on the horizon as you (and many others) portend. Aside from the demand / supply argument (that the price is suppressed but so little out there in supply to deliver that when it cannot be conjured up the price will spike to reflect true market demand, worldwide, for the yellow metal) what else is there to rebute this argument? How do you respond to these two points? 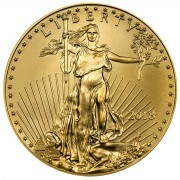 Is the price of gold greatly out of proportion to the price of silver? Aside from the issue of demand/supply, how do we “know” that gold already did not hit a bubble high at $ 1900 an ounce? Just some thoughts of mine. I am a fan of Ben Franklin and greatly enjoy reading your daily blogs, especially the colorful, yet tactful, use of the English language which is a refreshing change from the drivel pumped out by mainstream economists. Thank you for your insights as always (both you and your colleague Mr. Holter). I am in the medical profession, and new to economic theory and have been reading with much interest. I appreciate your thoughtful digest of world events. Not that I wish they were true of course. I in fact feel like we are in the process of witnessing the emergence of a horrible economic nightmare of which most are still blissfully oblivious. As they say in finance, the value ascribed to an asset is simply what people will pay for it. Thus, there is no “rule” as to what something should be worth, particularly when the game is constantly changing. Not to mention, when money is being printed so rapidly! The gold/silver ratio was historically around 15:1 because that was the rate it came out of the ground. However, silver was once used only as money – whilst now, it is the second most broadly used commodity on the planet, trailing only crude oil. Thus, whilst all the gold ever mined is still above ground, nearly all the silver has been consumed. Plus, silver is only coming out of the ground at a 9:1 rate now, as it is depleting more rapidly (and/or becoming more expensive to mine, relative to gold). Unquestionably, its monetary value is unchanged, as demand hit a record high in 2013, and will easily exceed that level in 2014. And the fact that U.S. Silver Eagle and Canadian Silver Maple sales have sold so rapidly with the weakest Western PM sentiment of the past 15 years shows you it’s mostly Easterners buying it – so just wait until the Westerners re-join the party. In other words, I believe the gold/silver ratio will eventually fall to at least 15:1 – and possibly, significantly lower. 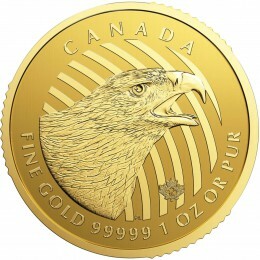 As for anyone saying gold will be $250/oz., I doubt even the biggest Cartel propagandists would try that. The cost of production is at least $1,200 for the world’s best mines, and the all-in cost of sustaining the industry at least $1,500. 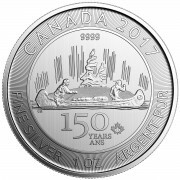 And for silver, those numbers are closer to $20-$25/oz. and $30+/oz., respectively (per our Webinar, taped two months ago). Cartel naked shorting of mining shares for so long has all but destroyed capital investment, to the point that no new discoveries of substance have been made for years. Thus, I believe production of both metals will drop precipitously; and thus, it’s hard to believe either metal has material downside in price – if any. And certainly not to $250/oz. for gold! I hope this helps. Please feel free to contact me with any further questions. Supply and demand will eventually overtake the manipulation. When will this happen…..when the world realizes the difference between perception and reality. We presently have bullion dealers telling their customer base that their eventual existence will end because ultimately bullion products will no longer be available. One must conclude from such statements that the demand will overcome the supply. When this falls apart and it will be sure of that, you will either hold a stack of silver and gold or you will not. That makes me think of the title of a great Bogart movie. TO HAVE OR HAVE NOT. This poker game of paper vs real currency is nearing its final hour of play. Who told you that? Are we supposed to just take your words? Last man standing will be who…..
That is my layman view of how and when this manipulation ends. Arrogance is nothing but a weakness. The weakness of the West will be its undoing. There is an article in zerohedge that Russia might be forced to sell their gold. If true, this just keeps getting better. Sorry Andy, but I can already clearly see you hype up 5 days a week entire year 2015 and nothing substantial happens. At best we’ll get volatility and you’d be jumping on your every opportunity to make it look like things are finally falling apart but it ain’t happening just yet. On the other hand, this means we still have time to accumulate PMs and get prepared for the worst possible scenario, perhaps including leaving the country. Good luck to you all. Fan of Ben Franklin? Lol that was funny…stack on! There is an old saying from days gone by that states …. people live either on one side of the tracks in a city or the other. If you lived on the wrong side of the tracks you were the second class side of the community. If today you choose to hold Ben Franklin notes rather than stack then the only thing that needs to be determined is which will protect your buying power a few years from now. One only has to look at the level of poverty in the USA to determine that the system is under severe strain. The world fiat currency system is under severe strain and soon we will likely see a major stress crack rupture that will change the landscape for decades.